Police on Thursday foiled an attempt of the Left Democratic Alliance (LDA) to lay seize to the office of the Election Commission. The law enforcers put barricade at Sonargaon intersection in the city’s Karwan Bazar area when an LDA procession was marching towards the Election Commission office in the city’s Agargaon area at noon. As the left activists denied leaving the place, the law enforcers charged batons to disperse the agitators. Later, the party leaders called off their programme for the day with brief speeches by Ganasanghati Andolan chief coordinator Zonayed Saki, among others. 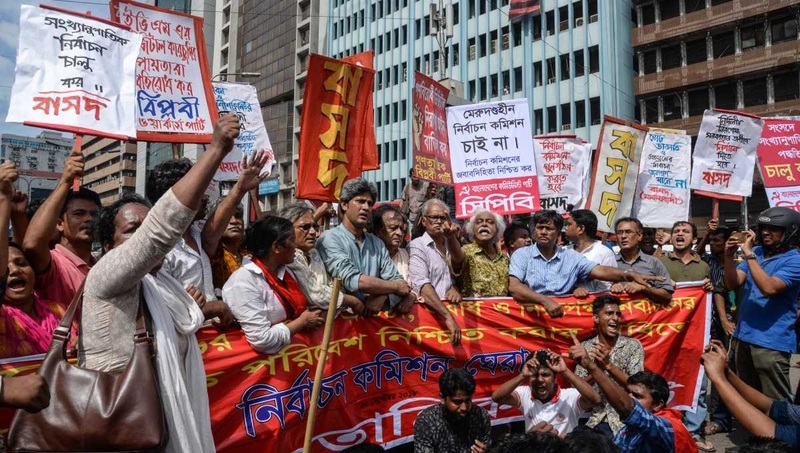 Earlier, they brought out the procession from the Jatiya Press Club and paraded through Matsa Bhaban, Shahbag and Bangla Motor areas.